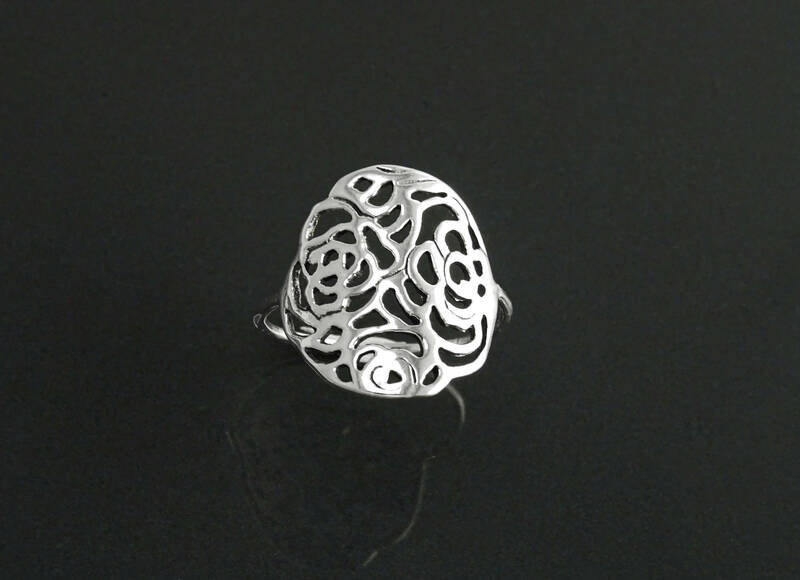 A sweet sterling silver, Rosebud Filigree Ring. Perfect for the bride-to-be, her bridesmaids, somebody that you love or to yourself. 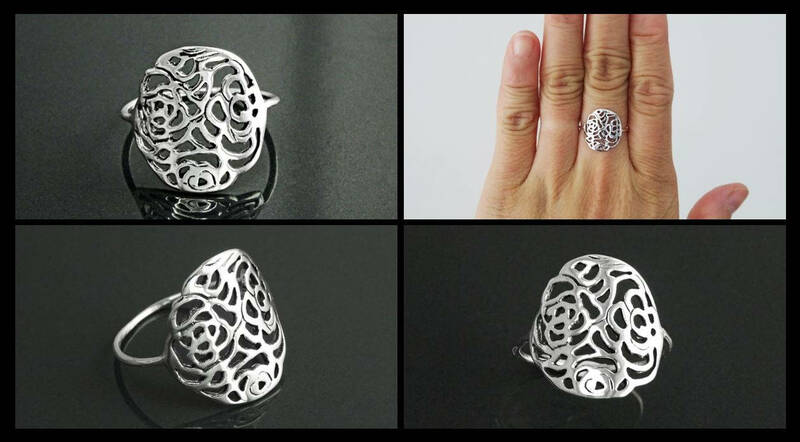 Each little rose ring is cut, textured and is unique. 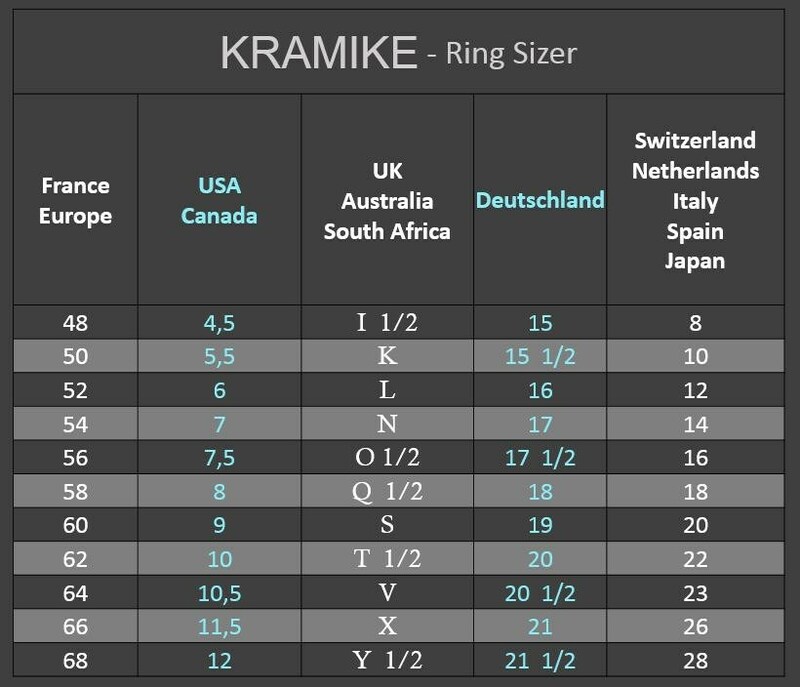 Average silver weight: 1.4 gr. 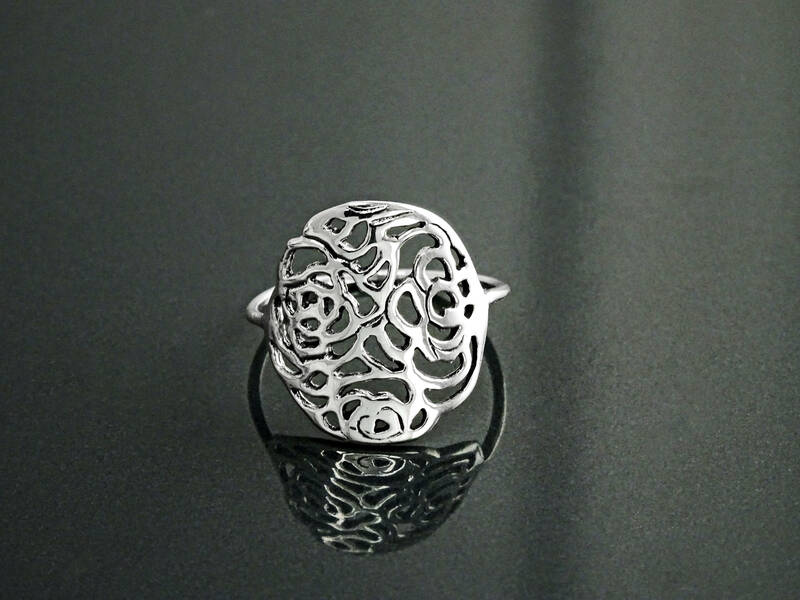 Very beautiful ring! 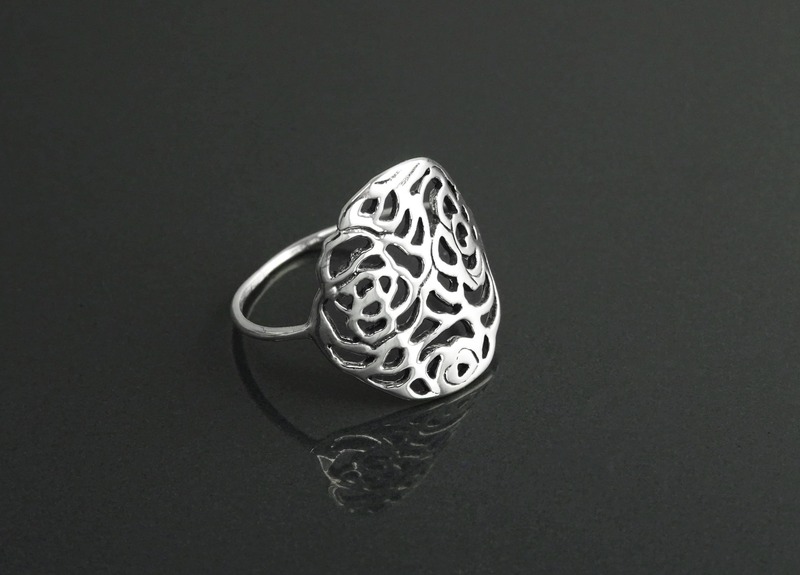 The intricate detail of design, and its lovely delicacy are flattering to the fingers and hand. I washed my hands throughout the day, without removing this ring, and it maintained its shining beauty.